Hi, I enjoyed reading your story,I’m an american and I love kimchi.I sometime think I eat too much,I worry about the salt.I heard that sea salt is not so bad for you,I have blood pressure issues.what is a normal serving with two meals a day? I don’t know what a “normal serving” is, but I usually eat maybe 1/4 cup or so with a meal? It’s certainly not a low-sodium food. 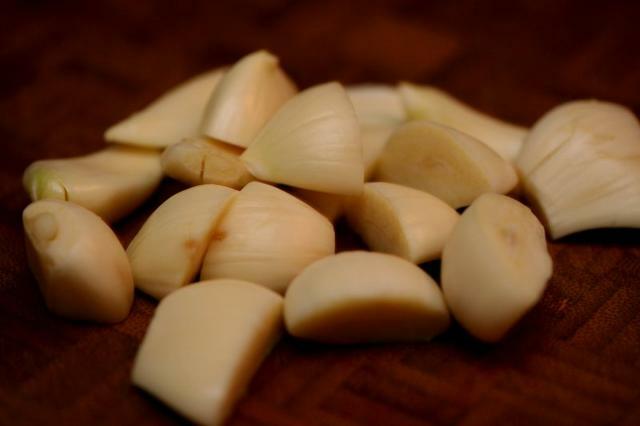 I don’t think you are going to find any commercial low-sodium kimchis, but the benefit of making it yourself is you can control the amount of sodium. The kosher salt called for is slightly lower in sodium than table salt. I try to use as little salt as I can get away with, but of course you have to use enough so that you are preserving the cabbage. 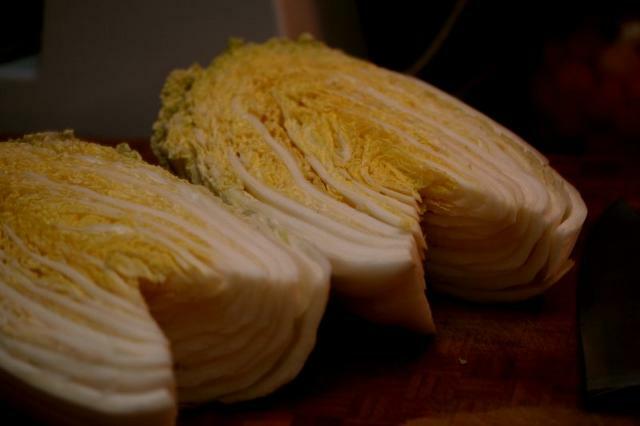 You can rinse the cabbage very well to remove as much salt as you can after it’s rested. 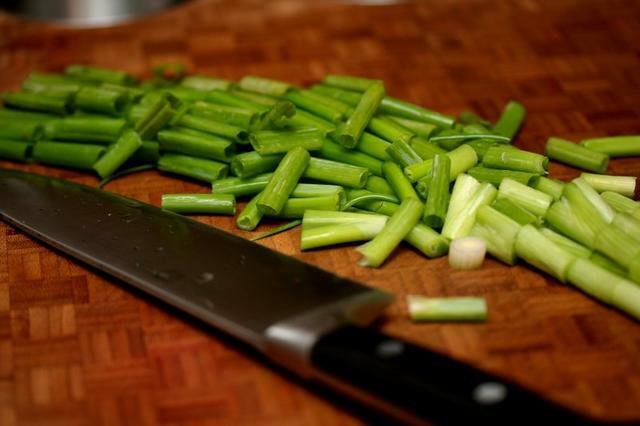 Another thing you could do is use low-sodium soy sauce, or, better yet, eliminate the soy sauce altogether. I would try substituting kombu dashi (I explain how to make it in another post; you can search for dashi). In fact, I might even try using dashi next tme. 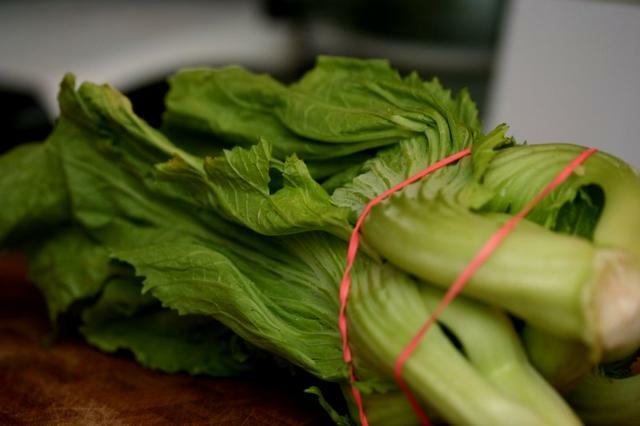 I think if you rinse the salt off the cabbage very well and skip the soy sauce (and watch the sodium content of other foods you are eating), although it still might not qualify as a low-sodium food, you can probably enjoy it in moderation. It does have a lot of benefits that you can also weigh against the one drawback, which is that it’s pretty much always going to contain salt. 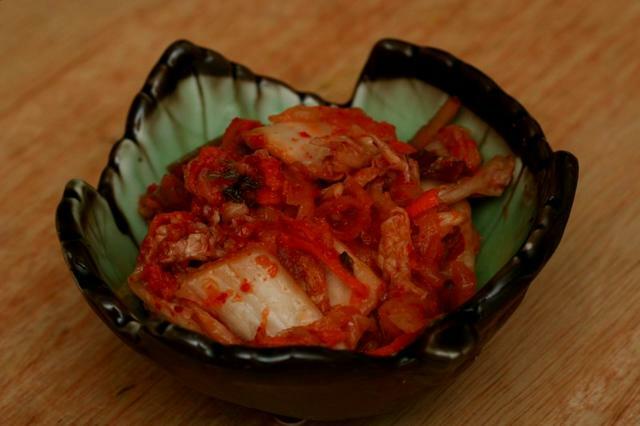 Renae, I can’t believe I’ve found someone else who makes and eats their own kimchi! I’ve been making mine for quite some time and was never really able to nail down the flavor I was looking for. I then discovered a Korean grocery store a not-so-short ride from where I live and was able to get authentic Korean chili flakes and fish sauce. It was worth the ride. That did the trick! P.S. – I love the kimchi pot. I’ll have to get one on my next trip to the Korean grocery store. 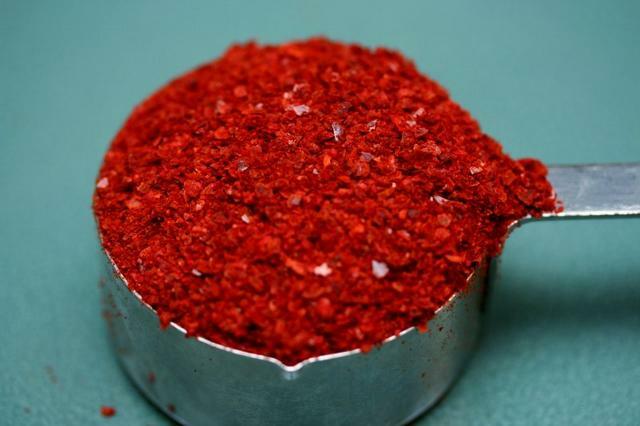 I’ve been excited about the chance to try this recipe for awhile…I don’t have a kimchi pot but I did manage to get some traditional red pepper flakes at a Korean market I found in Durham. Unfortunately, after checking my kimchi after about 2 days, I found it was moldy. 🙁 I was very disappointed. The carrot/paste mixture seemed to be molding the most. Obviously I did something wrong. Hopefully this will not turn me off from trying it again. Did I miss something in the tutorial maybe? I’ve been fortunate enough to never have encountered mold, but I guess my first question would be if you used enough salt. If the cabbage, which got the salt treatment, isn’t moldy but the other stuff is, I’d guess maybe you didn’t end up with enough brine? How liquid-y is it? 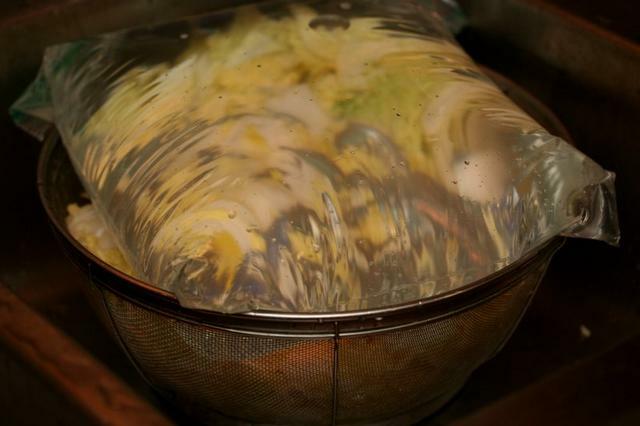 Usually when I mix it up and stick it into the pot, it doesn’t seem very wet, but by the first day, the water from the cabbage has extruded and mixed with the paste and it’s become sort of gloppy. As long as everything remains submerged in this “glop”, it shouldn’t mold, but if the mixture is still pretty dry after 12-24 hours, you may want to add a little bit of water and/or soy sauce and mix it in all around. By that time it should really be at the consistency you’d expect it to be when you eat it: if it’s still more like a salad, I think it’s not wet enough, and possibly that would cause it to mold. Exposure to air would also be a bad thing. You don’t need to keep the lid on tightly, but the top of the container should be completely covered. If you think the problem was the mixture wasn’t wet enough to make enough brine, you might want to give the cabbage a salt water bath for 2-4 hours instead of “dry salting” it like I did in the tutorial. That way, when you remove the cabbage from the water, a lot of water will still be clinging to it and it will better mix with the paste. I’m sorry it didn’t turn out the first time! If you make it again, let me know how it goes. 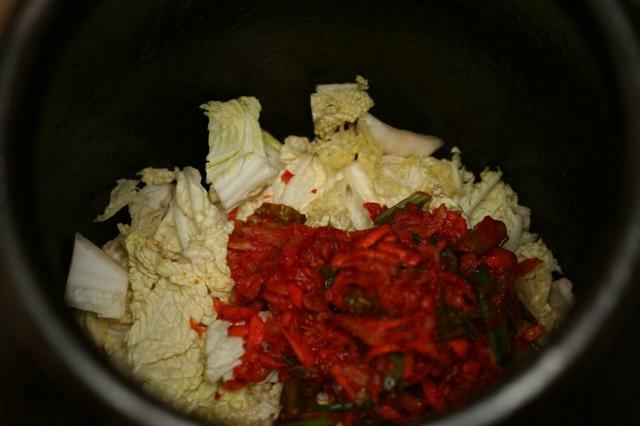 You need to maintain at least some of the salt to form the brine that preserves the kimchi. I’m somewhat sensitive to saltiness – I often cut back on the soy sauce called for in recipes because it’s too salty – and I’ve never noticed a too-salty taste to this recipe. If you are worried about it, I’d soak the cabbage in brine (add the salt to enough water to completely soak the cabbage) for 4 hours. 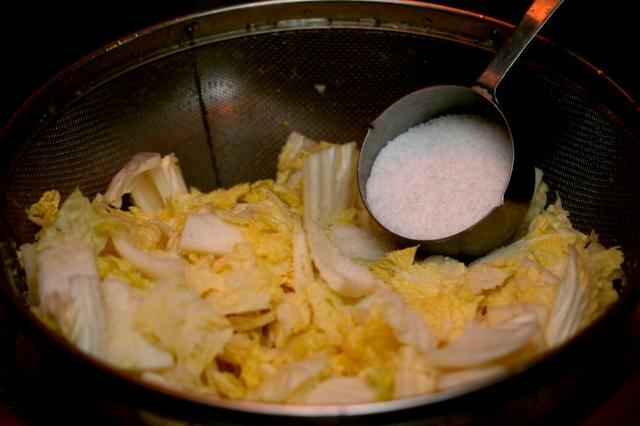 Enough of the salt will be absorbed by the cabbage to preserve it, but not all of it. When I make it the way described above, I probably do shake off any excess salt when I transfer from the colander to the kimchi pot. Good luck! 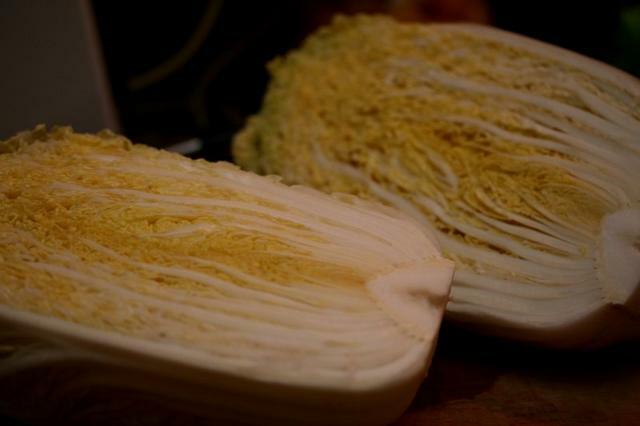 I tried to make the daikon kimchi, but it seems to salty. I blotted the daikon to get as much salt and water away from the daikon, but maybe I should’ve rinsed it with water too? Any ideas? 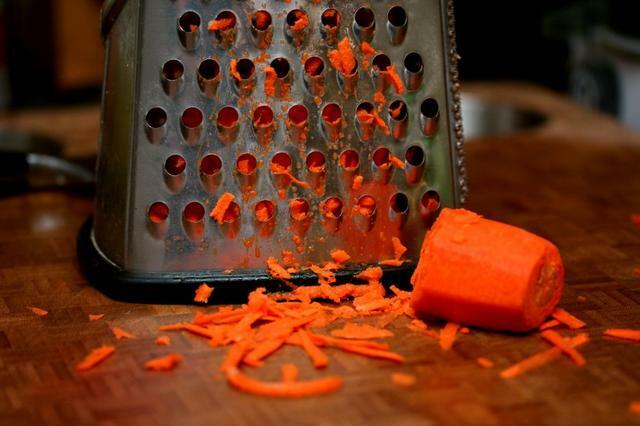 Kylysquirrel, how much daikon and how much salt did you use? It probably will taste fairly salty before you let it ferment, though yes, if you accidentally dumped too much salt on it when mixing it, you could just rinse it off. You wouldn’t want to rinse it all off though. I am a huge kimchi fan and have made it before but it never feels right because I don’t have a kimchi pot. Your’s is really beautiful and I wonder if you know where i might be able to buy one like it. Internet searches have proved fruitless and I haven’t seen any at the local asian markets. What you need is a fermentation pot/crock. I bought mine from http://www.sausagemaker.com but they are also available at http://www.canningpantry.com and http://www.Amazon.com. 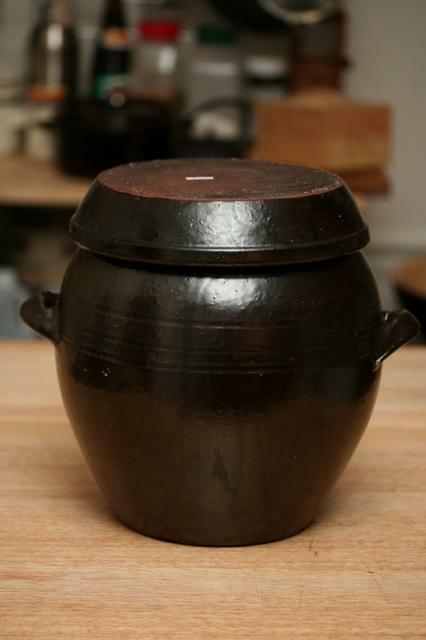 Just do a search for fermenting crock or fermenting pot and you should find one that will fit your needs. 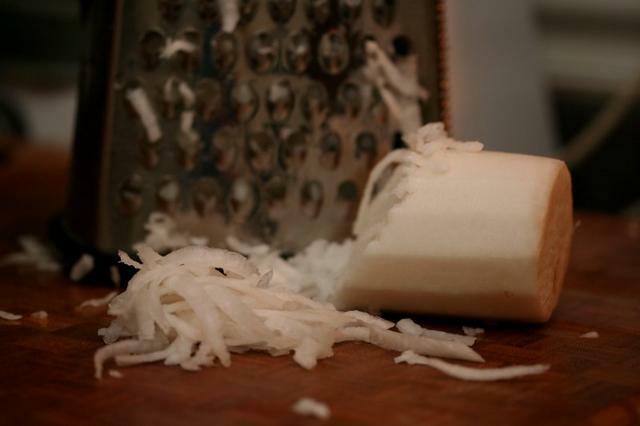 It can also be used to make traditional sauerkraut or any other fermented vegetable of your choice. I would also like to encourage people to try fermenting any of their favorite vegetables. You can do this in small batches and with very little investment. Purchase a small jar with a plastic lid and purchase an S-shaped fermentation bubbler (lock) from a homebrewing supply store…(approx. cost $1-2). Drill a hole just large enough to allow the lock to slip in and glue it in place. Congratulations… you now have a fermenter and you’ve paid less than $10. When you speak of me…. speak well. 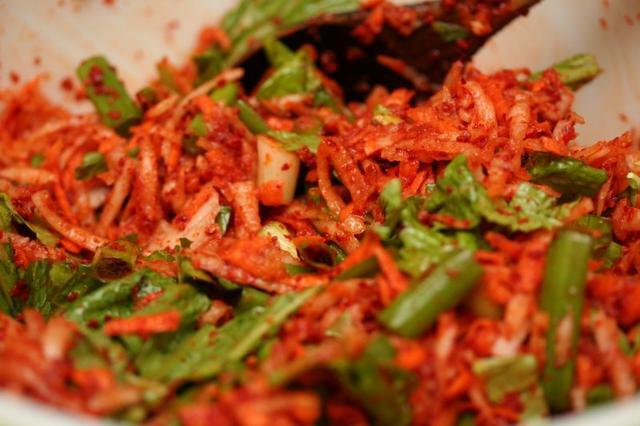 i’ve saved a million vegan kimchi recipes online, but made yours today–it looked just like what i wanted. i used a combo of nappa cabbage, and this gorgeous curly leaved purple and green one–not as tight as a reg head of green cabbage. 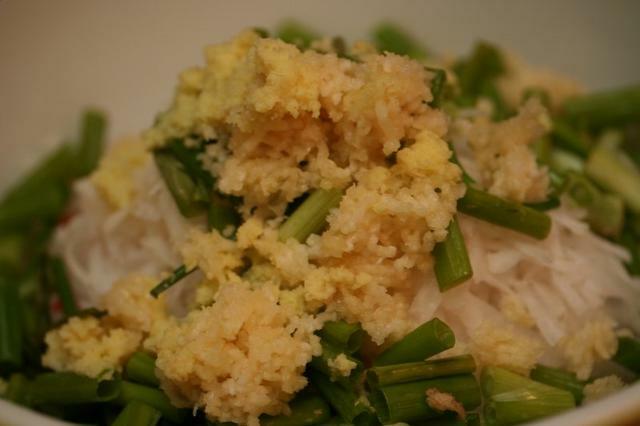 i also used 2 carrots, 1 daikon a bunch of green onions and no mustard. my kimchi is on the dry side. i’m just worried that it won’t get juicier in the next couple of days while it ferments. was your dry at first, too? i saw some recipes add vinegar and water to theirs, but water seems just wrong. Hi Kittee, Mine is sometimes a little dry and it does get a bit juicier, I suppose as the salt in the soy sauce draws more water out of the cabbage. If it’s really dry – and I’ve dried the cabbage particularly well – I actually would just add water (I’ve done it before), on the assumption that it’s water you’d be pulling out of the cabbage to make it juicier anyway. I think if you salt the cabbage like I do in this post, instead of soaking it, it does tend to end up a bit dry. 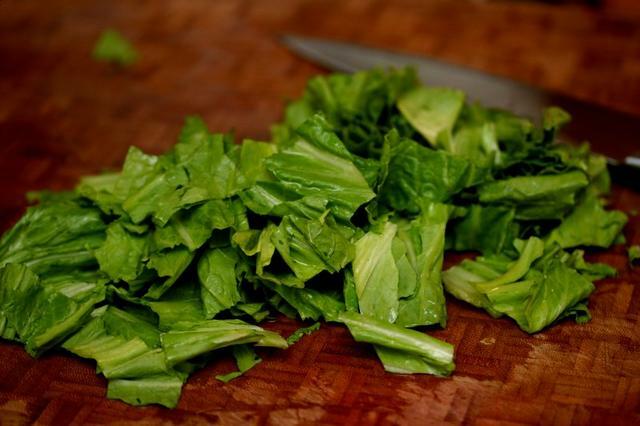 If you’d soaked it, some water would still be clinging to the cabbage when you put it in the pot, which would make it juicier, so for that reason, too, it makes sense to just add water. I wouldn’t use vinegar. thanks, renae. i’ll see how it is today. 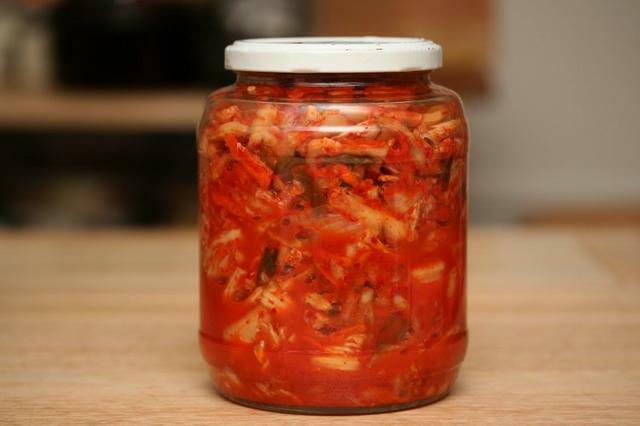 Further to Dan’s posting of June 21 2009, I also want a kimchi jar like yours.Would you be so kind to tell me where I can purchase it? Hi Claudette, I got mine in a Korean grocery store. I’ve never seen them for sale on the internet, although I’ve never really looked either. If you have a Korean grocery nearby, they should sell them. I bought a Kimchi pot today in Korea and plan to make my own. My question is I know the lid is not sealed air tight. Traditional Kimchi pots I think are placed under the ground in the winter time? Do they not worrry about insect getting inside the pot? 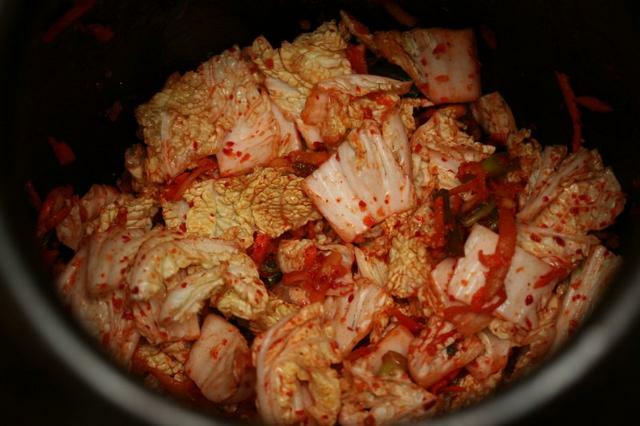 Just curios..
Hi there, I am in the midst of my first kimchi batch. So far, it has fermented in the basement for 48 hours and not all the cabbage is covered by liquid–I would say about half is. Is this troublesome? Should I add some water? I don’t see any mold at this stage. So far, I haven’t found a definitive answer online. HI Kate, I would say you should open it up and try packing the cabbage down a bit and see if that helps cover it up. 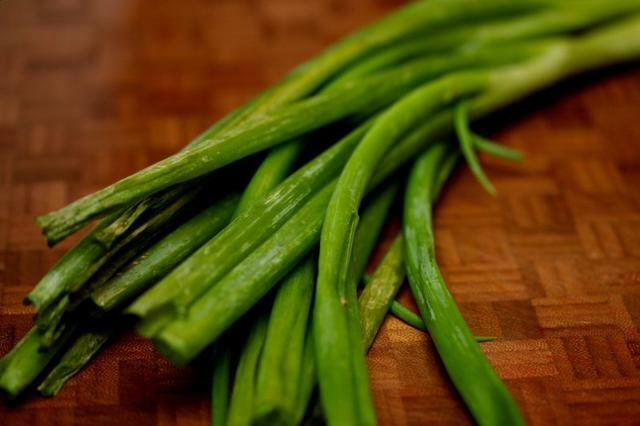 If it’s still pretty dry, I would add some water or maybe weak brine (water with a little salt). I hope that helps! Hi Jane, are there any Korean grocery stores located near you? That is the only place I’ve seen them. Hi, where did you purchase your kimchi jar? Hi Steph, I got mine at my local Super H (H Mart). 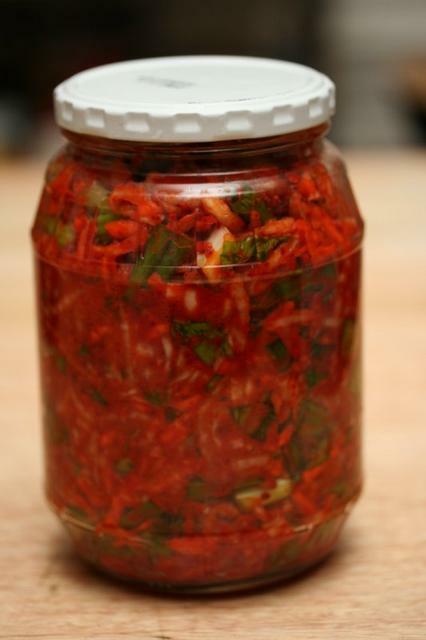 One of the best natural starters for kim chi is whey from making cheese or buttermilk or even from yogurt. For a gallon you only need a few tablespoons. This acidity keeps down unwanted bacteria by making the whole mix acidic an starts the natural ferment. Altho it may not be needed, we always use it. 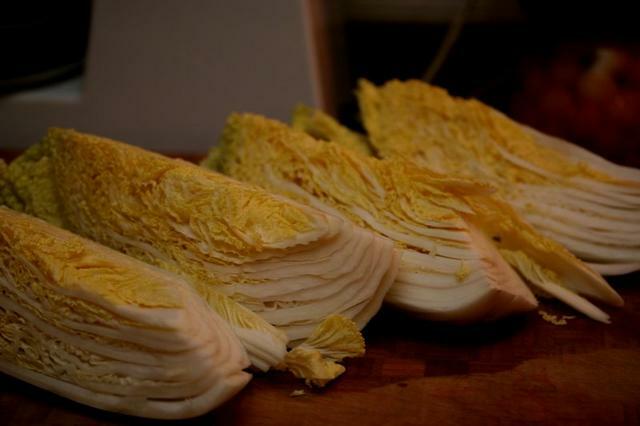 We have been making kimchi for 40 years, my wife even longer. I made some kimchi and it looks amazing. I fermented it in a gallon glass jar, but when I transferred it to smaller jars to fit in my fridge, there wasn’t enough brine – there was plenty in the large jar. Do I just put it in the fridge the way it is, or would you add more brine at this point? What would you suggest for brine? More of everything or just salt water? I don’t want it to be too salty. Audrey, if you can’t make enough brine by just squishing the kimchi and it’s fairly wet, I would add just a little water to top it off. If you feel like you have to add a lot of water, then I would add a little salt to it to keep it salty enough to prevent spoilage. But if you had plenty of brine in the large jar, I think you can get by with just adding a little water to the smaller jars to keep it moist. 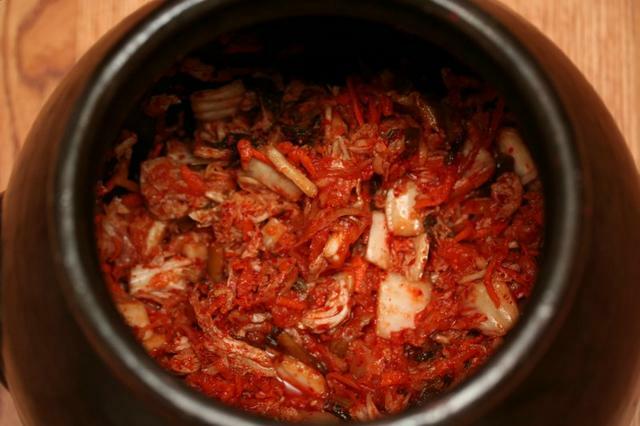 Hi, my question is where did you find the traditional type kimchi pot. I’ve done many searches and cannot find anybody who sells them? 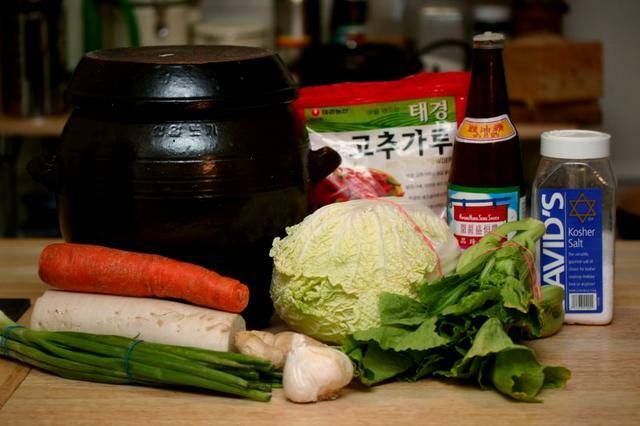 Hi Paul, I bought my kimchi pot locally at a Korean grocery store chain: H-Mart.